This direct-acting 2/2-way miniature solenoid valve is available in two versions. Type 6011 is a miniature solenoid valve used for shut-off, dosing, filling, ventilating and for technical vacuum.It is of modular design and may be mounted individually or as a block on a multiple manifold. 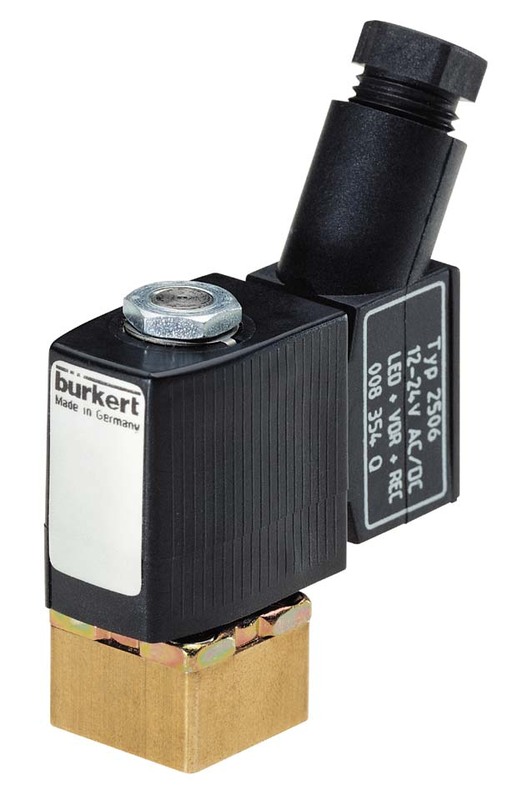 Type 6011 A is a high-quality miniature solenoid valve for analysis and vaccum technology. It is manufactured under clean-room conditions. This includes thorough cleaning of all parts in contact with media from organic and inorganic substances. The limit for residual hydrocarbons is below 0.2 mg/dm². 100 % of the valves are subjected to a special leakage test with regard to tight seating and tightness to the exterior. The permissible leakage rate is 10-4 mbar l/s. The valve is used for shut-off, dosing, filling, ventilating and particularly for analysis technology.